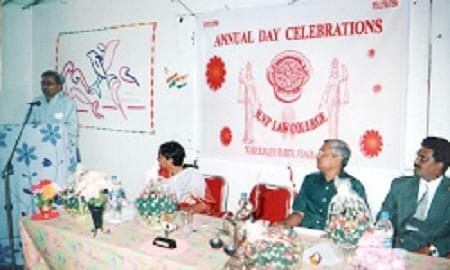 NVP Law College was established in 1980, affiliated to Andhra University, Vishakhapatnam. The College is approved by Bar Council of India (BCI). The college is located on a sprawling 25-acre nature-friendly and pollution-free site. It is one of the reputed colleges in the country. N.V.P. Law College has a wide range of modern amenities for the overall development of its students. It was established by the late Sri S Alwar Das with stated aim of offering the highest level of education and training students to attain a high proficiency in the legal profession. Why to join NVP Law College? Exposure: Under this approval, the college admits students to three-year and five-year courses in law, that is, Bachelor of Laws (LLB). 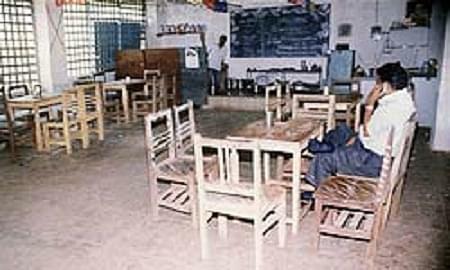 The college has a wide range of modern amenities for the overall development of its students. Management: This is a private un-aided college, which means it is financially managed by an individual, trust, society, or other private organization. Facilities: The College is equipped with a fully computerized library that allows students to update their knowledge in a chosen field of study or on general topics. 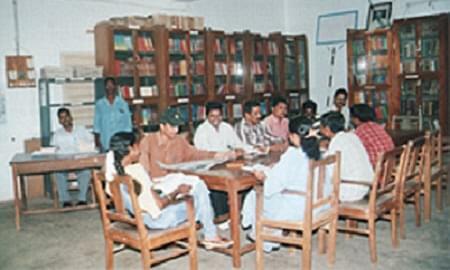 The library has a wide array of books in all disciplines for reference purposes and provides an exclusive seminar room with modern facilities- OHP, TV, VCR, CCD etc. Minimum Eligibility: At least 45% marks in case of General category and 40% of the total marks in case of SC and ST category at the Bachelor's Degree examination in 10+ 2 + 3 pattern.